Biscuits! We love biscuits, not just a little bit, but lots. Actually my daughter and I are crazy about bread, but we try to stay away from gluten. 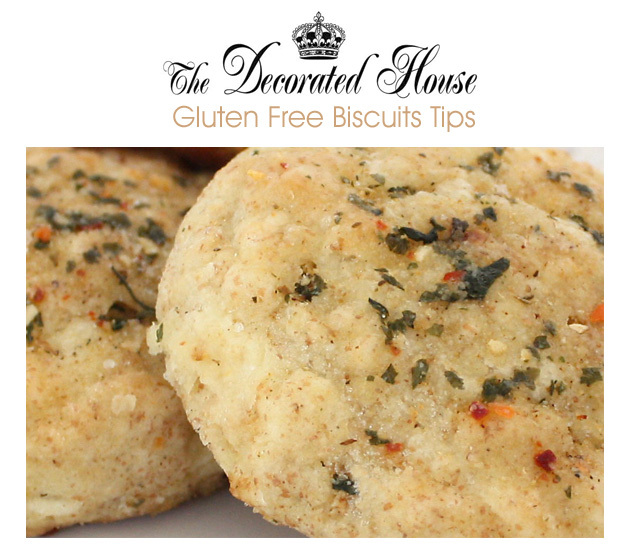 Biscuits was a tough one to convert to gluten free and really and truly keep a great tasting biscuit. I have tried many recipes. But this is my current best creation. My "tips" are simple, funny and little serious all at the same time. *Tip 1: Here's one of the best tips I can give you. If you do a google search for a recipe, go to the images. When you think about it, you really do know exactly what a food should look like if it is going to taste the way you want it to taste. For instance the other day I saw a link to some Chocolate Chip Cookies and when I saw the picture I knew they would NOT taste the way I like them. 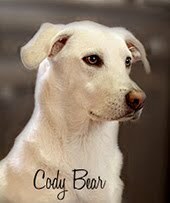 Maybe someone else liked them that way, but it would not get great reviews around here. I began to realize that little trick while looking for gluten free brownies and chocolate chip cookies. Just picture what the cookie or whatever looks like that you really love at the bakery or at home. If it looks really different, it will taste different as well, usually. 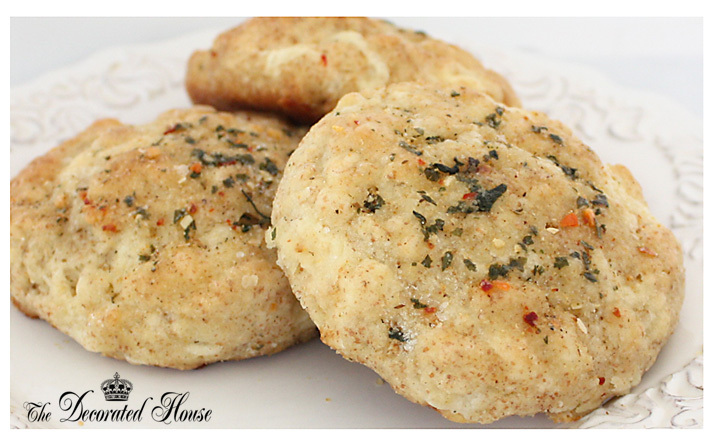 The biscuits in the above pictures are still using a combination of half Bisquick gluten free baking mix. I'm very pleased with how these taste, but I don't want to use that brand because although they use rice flour, it is not brown rice, and it isn't organic. For this experiment I used a 50/50 mix of the Bisquick and my flour blend, but I haven't gotten the same perfect taste yet without using the Bisquick mix. And it might be because the white rice flour is lighter than the brown. *Tip 2: The Bob's Red Mill and other pancake mixes are basically the same thing as the Bisquick, so you can substitute those exactly cup for cup. Just a personal choice to choose one of these smaller companies who also make several organic products. At the time I made these I still had a box of the Bisquick so I used some of it to use it up. Lots of the recipes you will find say to "drop" the dough on the cooking sheet or pan. Again, personal choice but we don't like the looks or taste of spikey biscuits as much as an old fashioned round biscuit. However the dough of the gluten free versions can be sticky and tough to roll out so that might be why so many people just drop them. 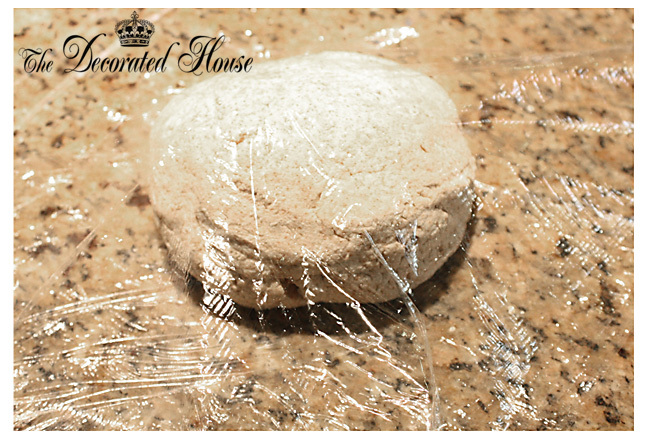 So here is the best Tip: 3 Lay plastic wrap down on your counter or rolling surface, put your ball of dough in the middle of the plastic (just keep your hands a little floured so you can form it into a ball), then cover it with another piece of plastic wrap. Make sure the plastic is large enough for once you roll it out. Next, I dust a little flour on the top and bottom of the dough again to keep it from sticky. 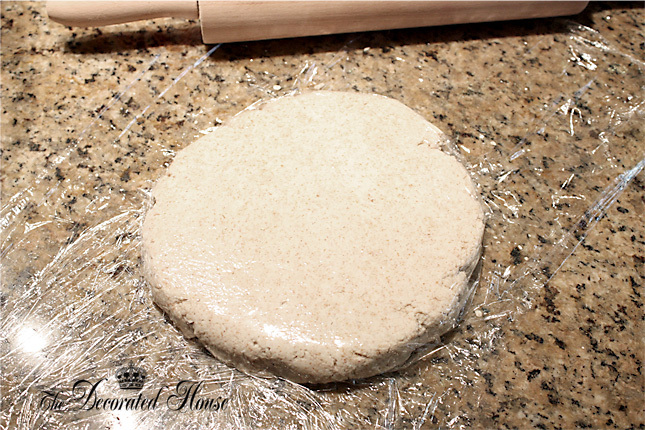 Roll out the dough to the thickness you want, and don't make it too thin. You do want some nice big biscuits now don't you? Use a biscuit cutter, or anything round to cut the biscuits. I don't find the dough sticks too much when I cut it out. But if it does, just dust the cutter with some flour. Here I slide a little something flat under the cut biscuit to remove it. And then last Tip: Put a little flour on your hands and finish forming it into the perfect round biscuit. Most of these spread a little so make it taller and smaller than you want the finished biscuit. These biscuits are to help us not miss the ones from Red Lobster. After cooking biscuits several times adding up to 1.25 cups of sharp cheddar cheese, it doesn't seem worth the extra fat or calories to add it. We still can't really taste the cheese enough to justify adding it. It would make more sense to split the biscuits and melt some cheese on it if you want a cheesy taste. And it would be far less calories and fat. However the last step of adding melted butter (or yogurt "butter" in our case) along with the garlic powder and seasoning is totally worth it! Usually baking and cooking starts calling strongly to me in the Fall. But for some reason this year I've been crazy into cooking all summer long as well. There's always one more recipe to try to make a little bit better! I am passing this recipe along to my gluten free friends. It looks wonderful!